Reigning European champions Real Madrid will not look to sign Tottenham's Christian Eriksen this summer even though the Denmark international could be available in a cut-price deal for teams outside the Premier League. 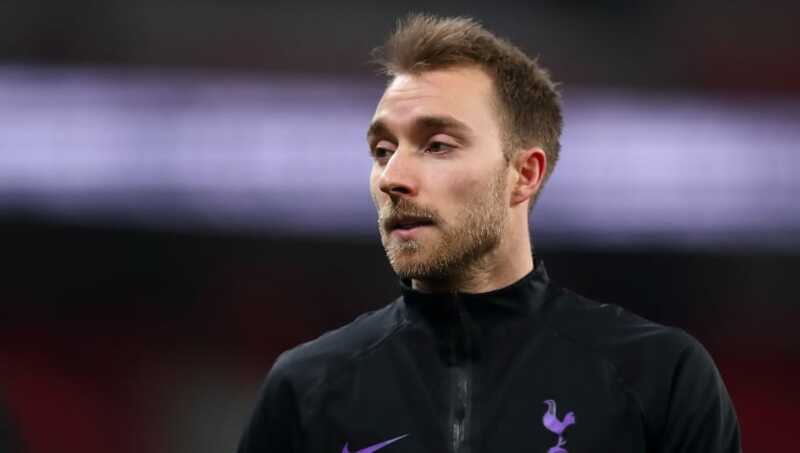 The 26-year-old has just over one year left on his current contract in north London and Tottenham could look to cash in on Eriksen rather than risk losing him on a free transfer in 2020. Spanish giants Real Madrid have been linked with the Dane for some time, but AS confirm that Los Blancos have now dropped out of the race for Eriksen's signature altogether. That is because the club's decision makers have decided to extend Luka Modrić's contract at the Santiago Bernabéu, and instead will look to develop Dani Ceballos into the Croatian's long-term successor. Ceballos has struggled to establish himself at Real Madrid following his high-profile move from Real Betis in 2017, with the majority of his 50 appearances coming from the substitute bench. Exactly. Why do we need Eriksen when we can't give minutes to our own playmakers like Isco, James, and Kovacic. We should prepare for Modric's replacement given his age, not his form. We should focus on a striker and a center back for the summer. But club president Florentino Pérez remains confident that Ceballos is the man to fill in when Modrić eventually leaves the Spanish capital, while Mateo Kovačić and James Rodríguez are also options for Real Madrid. Although Real Madrid's decision does ensure that Tottenham are more likely to begin next season with Eriksen still at the club, it also increases the chances that the playmaker will walk away from the club on a free transfer. Barcelona and Paris Saint-Germain have been linked with a move for Eriksen in the past and it is known that Tottenham would rather see the midfielder move away from the Premier League when he leaves the club. But Manchester United have also been tipped to try and sign Eriksen from Tottenham, with their stance expected to be strengthened if they appoint their long-term managerial target Mauricio Pochettino.